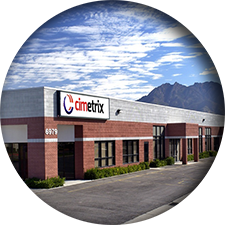 Cimetrix is located in Salt Lake City, Utah. We design and develop software solutions for the semiconductor, electronics assembly, photovoltaic, and related electronics industries. Cimetrix values team work, quality, and integrity in our employees. In addition to company-sponsored events and competitions, including annual Chili & Soup Cook-offs, team members also enjoy a competitive benefits package. To learn more about our culture, check out some blog postings written by our team on "Working at Cimetrix." We provide great benefits including health/dental/life/short-term/long-term disability insurance, 401k match, profit sharing, and stock. The best part is the work atmosphere and our people. We look for employees who like to work hard and enjoy working with the rest of the team. We have soup cook-offs, cake day, free fruits and veggies, and lots of company sponsored lunches. We continuously strive to maintain our values-based culture, empowering employees to make a difference, to provide passionate dedication to our customers’ success, and to uphold the highest ethical standards in everything we do. Read about the Cimetrix Company Culture on our blog. Cimetrix is a software engineering company that designs, develops, markets, and supports factory connectivity and equipment control products for today’s smart, connected factories. The company’s primary customers are original equipment manufacturers (OEMs) that supply precision electronics manufacturing equipment for semiconductor wafer fabrication as well as adjacent industries such as solar/photovoltaic (PV), high-brightness light-emitting diode (HB-LED), disk drive, flat panel displays, printed circuit boards, and other electronics manufacturing.